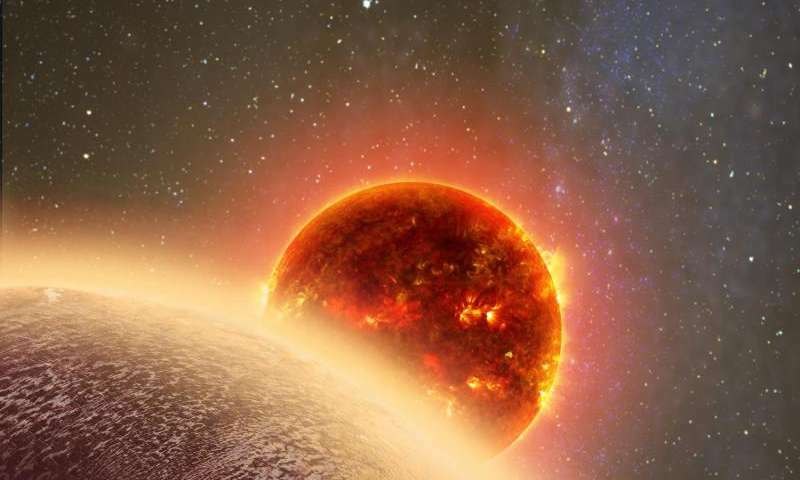 Astronomers have discovered another Earth-sized exoplanet that is the closest one to our own Solar System found so far, but it might not be a nice place to live or even visit, with conditions thought to be more like Venus than our home world. The planet, GJ 1132b, is calculated to be 1.2 times the size and 1.6 times the mass of Earth and is only 39 light-years away – very close in galactic terms – and the nearest Earth-sized exoplanet found so far. It orbits an M-dwarf type star which is smaller and cooler than the Sun. The findings were published today in the journal Nature by scientists from MIT and elsewhere. Despite being so close to Earth in size, the planet is more like Venus, with an estimated temperature of 260 degrees Celsius (500 degrees Fahrenheit), since it orbits very close to its star, completing an orbit in only 1.6 days – not quite as hot as Venus itself, but still enough to make any liquid water unlikely, at least on the surface. It is therefore rather inhospitable and not a good place to search for life. It is also tidally locked to its star, so it keeps the same face toward the star, much like the Moon also keeps the same face toward Earth. One side of the planet is always in daylight while the other is permanently in darkness. While searingly hot, the planet is still cool enough to retain a substantial atmosphere. This makes it an ideal candidate for further studies by other telescopes which could determine the actual composition of the atmosphere as well as wind patterns or even the color of sunsets. 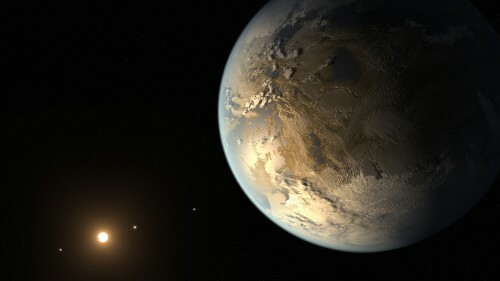 Studies in this area have been limited so far since most exoplanets discovered so far are much farther away, making it more difficult to examine them in detail. The upcoming James Webb Space Telescope (JWST), much larger than the Hubble Space Telescope, will be able to do just that. JWST is scheduled to launch in 2018. GJ 1132b was first discovered using the MEarth-South Observatory, an array of eight 40-centimeter-wide robotic telescopes in Chile. The observatory is led by Harvard Observatory and specifically monitors M-dwarf stars, which commonly have exoplanets orbiting them. 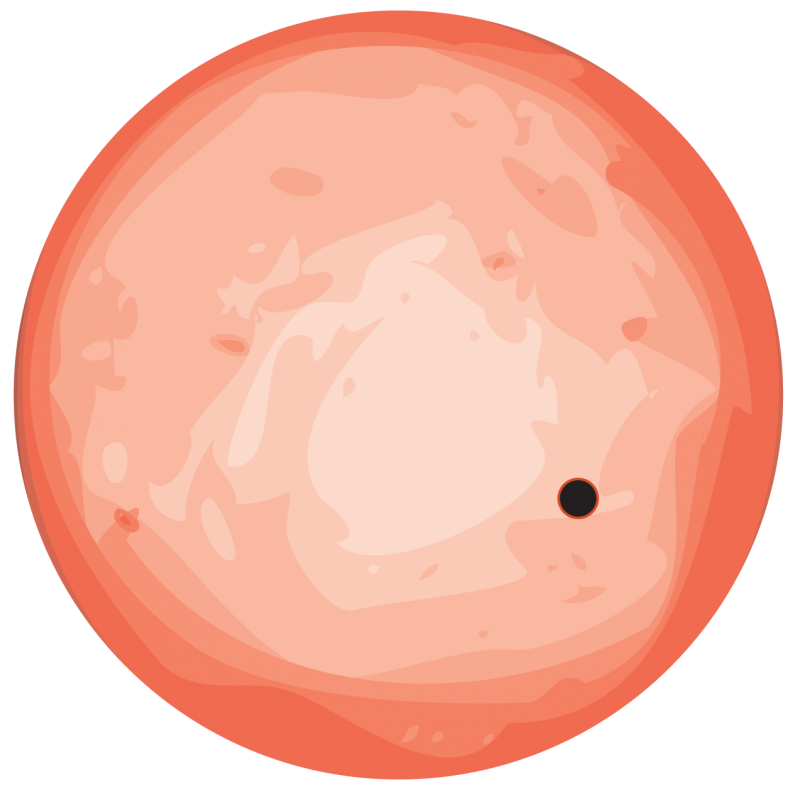 On May 10, 2014, the transit “dip” of the planet was discovered; the star’s brightness dimmed by 0.3 percent every 1.6 days, indicating that a small planet was orbiting it. “We didn’t know the planet’s period from one single event, but when we phased many of them together, this signal popped out,” he added. In 2014, the first Earth-sized exoplanet was discovered in the habitable zone of another star. Kepler-186f orbits a red-dwarf star about 500 light-years away, and is one of five known planets in that planetary system. Planets of similar size and mass to the Earth and in the habitable zone of their stars are of special interest, because they could have liquid water on their surfaces, increasing the chances for life of some kind. GJ 1132b is not too far away, but there are an estimated 500 star systems closer to Earth than that, and it is hoped that other space telescopes such as the also-upcoming Transiting Exoplanet Survey Satellite (TESS) will be able to find more Earth-sized worlds even closer. Most rocky Earth-sized exoplanets have been found by the Kepler space telescope so far, which focuses on a region of stars which are much farther away. Worlds of this size are now thought to be common, so by extrapolation, there should be others even closer to Earth than GJ 1132b. On that note, there has also been debate as to whether any Earth-sized planets orbit the nearest star system to us, Alpha Centauri. Hubble observations have supported this possibility, although studies so far have not. The two planetary candidates, if they exist, orbit the star Alpha Centauri B, one of the two stars in the binary star system. “If you ask anyone working in exoplanets, they would all have a different opinion about the existence of Alpha Centauri Bb,” said Brice-Oliver Demory of the University of Cambridge. GJ 1132b may not be a hoped-for “second Earth,” but it does help to show once again that planets of this size are common in the Universe, and the more of them that we find, the closer we get to actually discovering another life-supporting world out there.